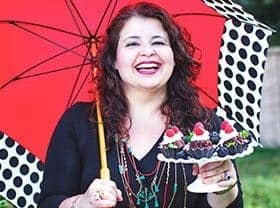 Disclosure: This is a compensated campaign in collaboration with Soy Connection by United Soybean Board and Latina Bloggers Connect. As always, all the opinions are mine! 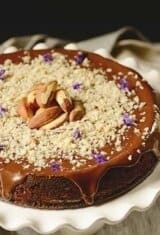 If you think the terms healthy and dessert don’t go together, this super moist Flourless Choco Nut Cake (Bolo de Chocolate com Castanha do Pará) will change your mind. I know, its name is fun… but nothing compared to its decadent taste and all the good stuff that is in it! Don’t believe me? Check it out! 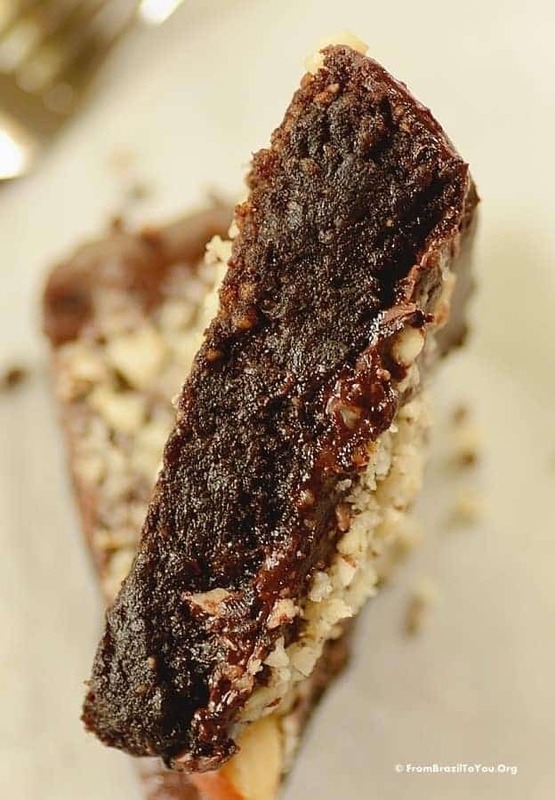 To begin with, our choco nut cake is gluten-free! Ground Brazil Nuts (or any other nut of your choice, which are great sources of protein) substitute for flour in this recipe. 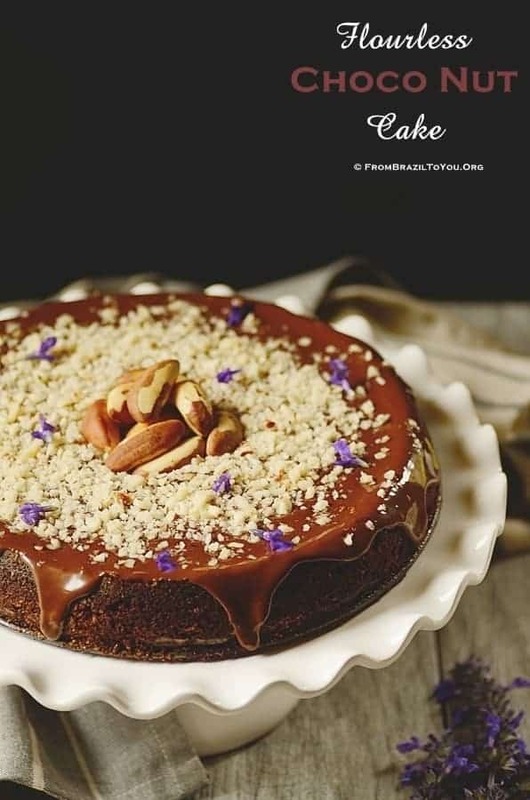 And not only that… unsweetened cocoa powder and dark chocolate (loaded with nutrients and antioxidants) combined with soybean oil make this cake a healthy yet scrumptious dessert. 5. Although you may not realize it, it’s one of the most versatile ingredients in your pantry… it simply accounts for approximately 55% of vegetable oil used in homes! Just check the ingredient label to be sure. For more soybean oil information, click HERE. As you can see, soybean oil is great for you! 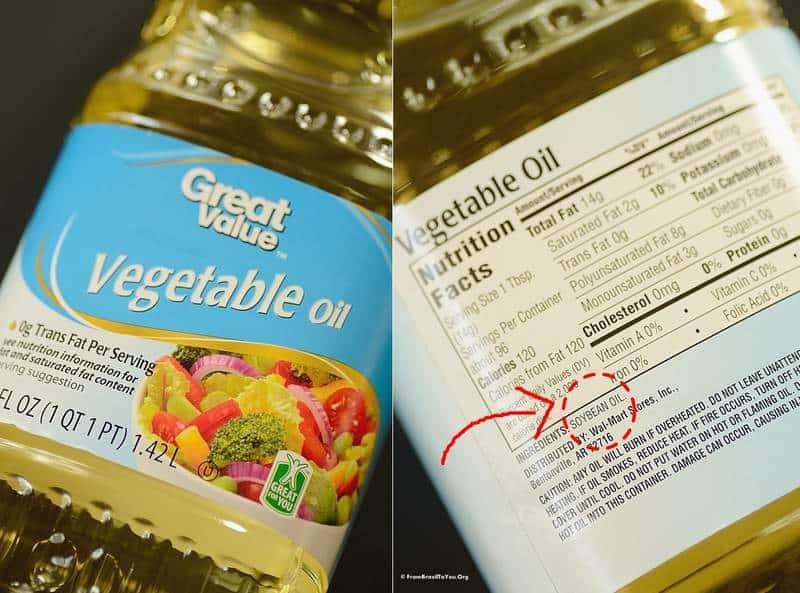 And as if that weren’t enough, The United Soybean Board invites you to check your label and upload a photo of your oil ingredient label HERE , highlighting the soybean oil content, for a chance to win $100 gift cards. The contest is now open and will run until July 16th! 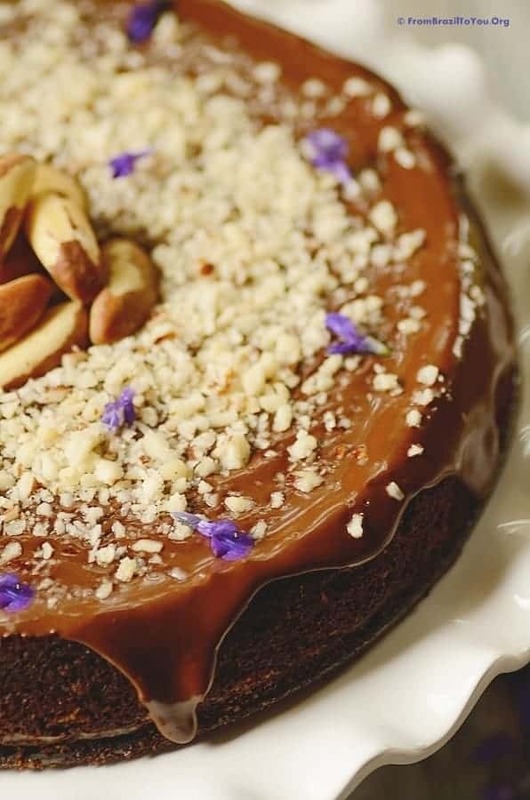 Enjoy our our flourless choco nut cake and all the benefits of soybean oil. Good luck in the giveaway/contest! 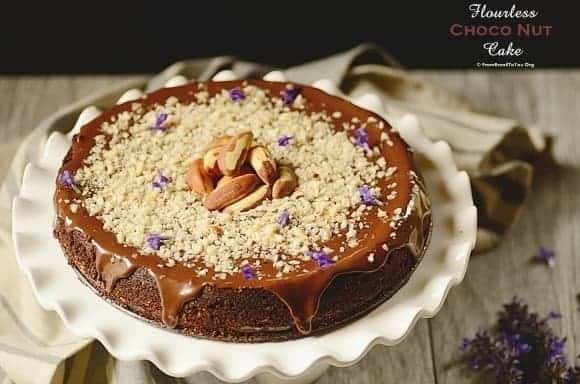 Our Flourless Choco Nut Cake is a gluten-free, healthy dessert that can be served warm with ice cream, or topped with chocolate glaze and Brazil nuts, or any other nut of your choice. If you are allergic to nuts, you can use flour. 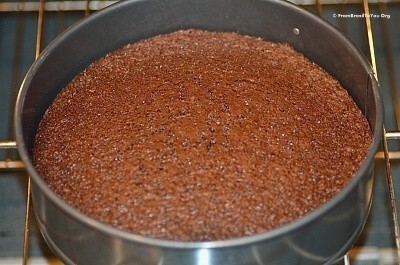 To prepare the choco nut cake: Preheat oven to 325ºF (170°C). 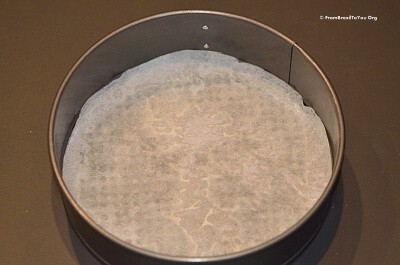 Grease a 9-inch (23 cm) springform pan with oil and line the bottom with parchment paper. Set aside. 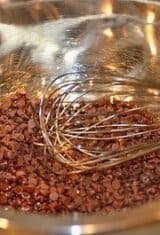 In a small to medium bowl, sift the cocoa powder and whisk in the boiling water until obtaining a smooth chocolate paste. Whisk in the vanilla extract, setting aside to cool a bit. 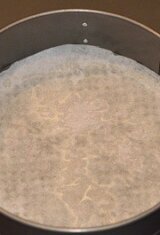 In another small bowl, combine together the ground nut, baking soda, and salt. Set aside. In the bowl of a mixer with paddle attachment, beat together the sugar, soybean oil, and eggs at medium speed for approximately 2-3 minutes or until obtaining a pale mixture. 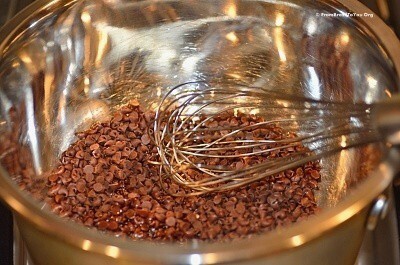 Reduce the speed and pour in the cocoa mixture, beating just until combined. Add the nut mixture and beat just until combined. 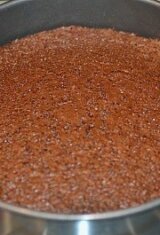 Pour liquid mixture into the prepared springform pan, scrape down all the mixture. 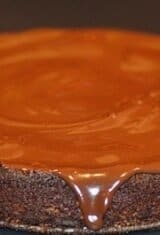 Bake for 40 to 45 minutes or until the sides are set and and a toothpick inserted in the center comes out clean but with a few sticky chocolate crumbs clinging to it. Don't worry about the damp center! Place pan on a rack and let it cool for about 15 minutes. 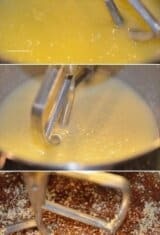 Run a knife around the edges to ease the cake and then spring it out of the pan. Serve while is warm with ice cream, or let it cool completely and top with chocolate glaze and nuts. For the chocolate glaze: Set a heatproof bowl over a pan of simmering water, making sure water doesn't touch the bottom of the bowl. 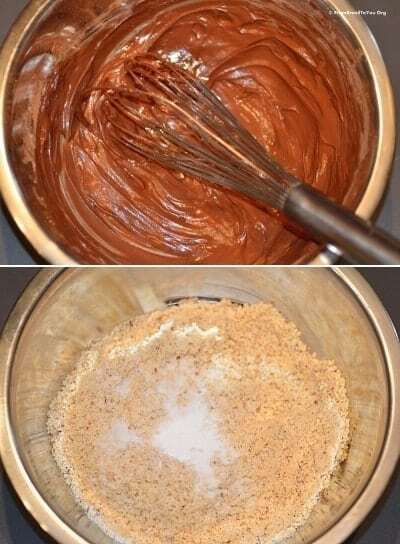 Melt half of the chocolate with the oil, stirring constantly until chocolate is just melted. 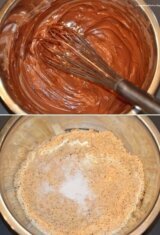 Add the other half of the chocolate and stir until melted and smooth. and sprinkle chopped nuts on top if desired. Enjoy! Excellent cake Denise! And this chocolate glaze…oh God it completes this recipe with perfection. Also, replacing flour with ground nuts is so much healthier! Honestly, I’ve never given soybean oil much thought, now I’ll be searching for this ingredient! 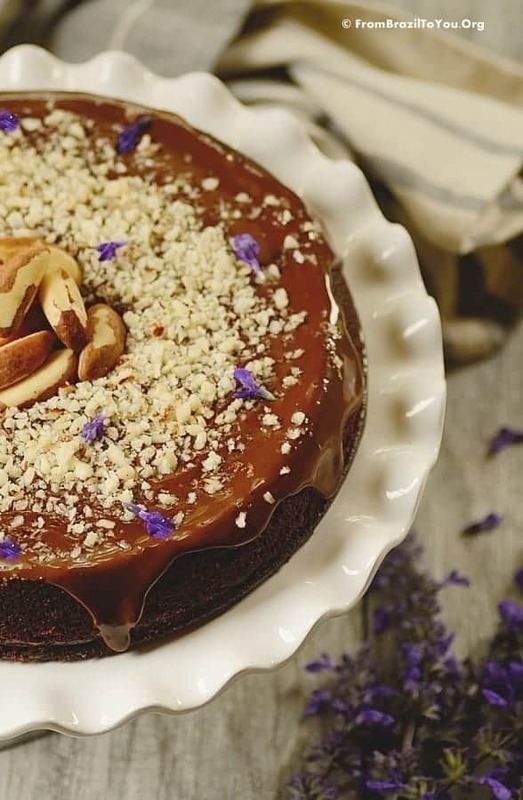 A slice of the flourless cake sounds divine! It would fantastic for an afternoon snack. I didn’t know such an oil even existed, will have to have a hunt around and find it, especially if you can make a flour less cake look so delightfully moist and not at all heavy as many flour less cakes can be. It’s morning tea time here, reckon you could beam me up a slice of this heavenly sweet treat? I’d have loved to serve you a huge slice of this cake, Anna — accompanied by ice cream. 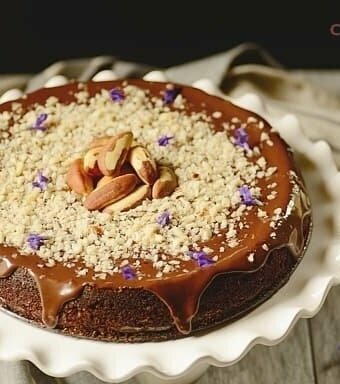 🙂 Although you can make this cake using other vegetable oil, soybean oil or an oil blend with it is the best because of its properties. In fact, many products are made with soybean oil — mayo, dressings, etc. If you look at the labels, you will see. This sounds and looks delish! I’ve got to give this a try. Thanks Denise! I know of a friend who will love this cake as she is gluten-intolerant. This cake looks amazing! I hope you share the recipe with her. If she is a chocolate lover, she will enjoy this cake. Wishing you an awesome week, Jasline! Although we’re fine with gluten, we know so many people who are GF, so it’s always good to have a dessert recipe that will work for them. This looks fantastic! So much flavor. And it really looks gorgeous. Thanks! That is one goodlooking gorgeous cake. 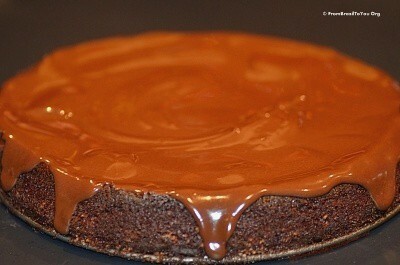 Love flourless cakes and you’ve added nuts, even wonderful. This is definitely on my list of to do’s this summer. Congrats on the win. Enjoy your summer with your lovelies. Hi Denise, my name is Fran (from G’day Souffle’). I’ve seen your blog name from Daniela’s blog and several other’s. I’ve always baked cakes using flour but this recipe is convincing me to try something new. It looks so delicious! You won’t regret to make this cake, Fran. It’s already a family favorite. In case that you would like to use flour in it instead of nuts, I have already written the amount of it in the recipe. Enjoy! It looks divine and very tasty! This cake and vanilla ice cream is the perfect combination!